Falls are a horrible problem for elderly loved ones. They can cause severe injuries, even if the fall itself seems mild. 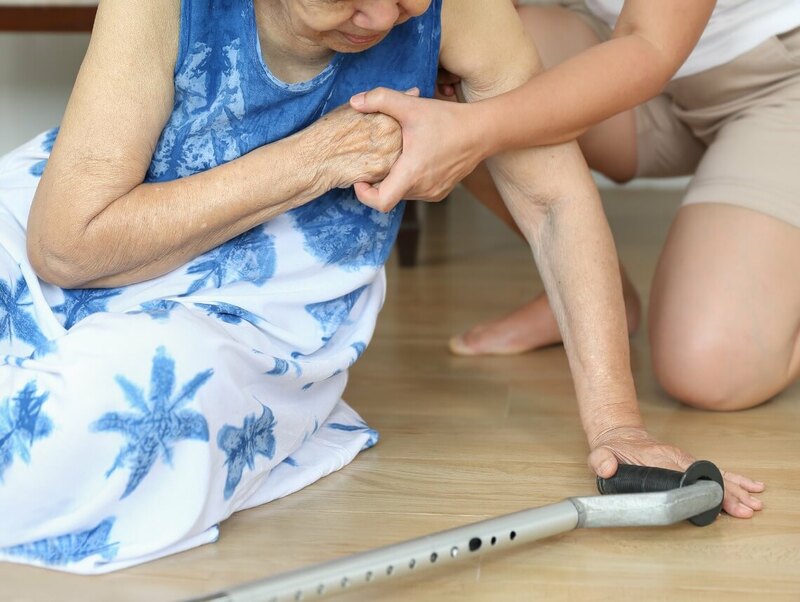 Here’s how you can deal with a fall in such a way that you help your loved one to regain their composure and take plenty of time to get back up again. Help your loved one to take some deep breaths. That will help to calm both of you down. Remind your loved one to stay where they are for a minute while you both decide if they’re in any pain or if they’re injured. Once the fright from the actual fall subsides, it will be easier to determine if your loved one is actually injured. If they are indeed injured, get medical help right away and don’t try to move them. Once you’ve determined that your loved one isn’t injured, help them move slowly toward getting up. They don’t need to try to jump right up or to rush the process in any way. The more time that they take, the better, because they’re allowing their body to readjust to standing back up. While your loved one can probably get up safely on their own, they just had a pretty big scare so do your best to help them while they’re getting up. Have them roll to their side before getting to their hands and knees. Offer them your hands or move a sturdy chair over so that they can use that to rise from a kneeling position on the floor. Do all of this slowly so that your loved one can adjust at each stage. Be on the lookout for any pain or unusual symptoms after the fall. If your loved one does seem to be feeling any adverse effects whatsoever, don’t hesitate to call their doctor. Some injuries can be masked by the shock of the situation and your loved one might not notice them until much later. Talk to your loved one’s health care provider about what you can do around your loved one’s home to help prevent falls. You might be surprised how easy fall prevention can be. If you or an aging loved one are considering home care services in Florida, contact the caring staff at Sonas Home Health Care. Call today (888) 592-5855.